A Truly Amazing Sun drenched One Bedroom Penthouse with its own Private Roofdeck! 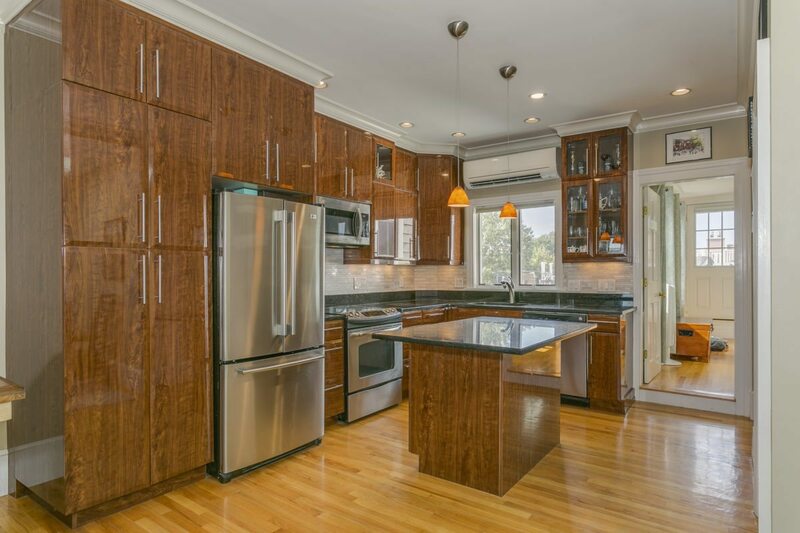 Superior Custom Gourmet Chef’s Kitchen with Gleaming European Cabinetry and sleek Granite counter tops! New Tile Back splash! Huge Granite Island with seating on 2 sides! Bright & Sunny Formal Living room with wood burning Fireplace! Large Dining Area! Big Bedroom! Gleaming Hardwood floors are Everywhere! Towering Ceiling Height! New Custom Andersen windows! New Mini Split High Efficiency Heating & Central Air Conditioning system! Multiple Closets throughout! Flawless Skyline Roofdeck for your July 4th fireworks parties or for those endless warm and embracing southwestern Sunsets!! Washer and dryer in the unit as well as common w/d in basement. Skylite over staircase! Bonus- extra storage in the basement. Nice quiet tree lined side street minutes to all that Charlestown has to offer! Close to public transportation, Whole Foods and restaurants! Come see this Wonderful Home! Click here for More Photos and the Floorplan!